Alone, bereft and faced with a mountain of debt, Nina quickly loses her life of luxury and she begins to question whether she ever really knew the man she married. Forced to move out of her family home, Nina returns to the rundown Southampton council estate -- and the sister -- she thought she had left far behind. But Nina can't let herself be overwhelmed -- her boys need her. To save them, and herself, she will have to do what her husband discouraged for so long: pursue a career of her own. Torn between the life she thought she knew and the reality she now faces, Nina finally must learn what it means to take control of her life. 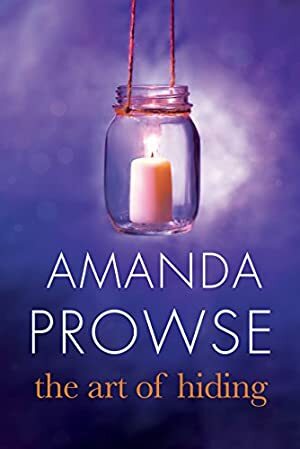 Bestselling author Amanda Prowse once again plumbs the depths of human experience in this stirring and empowering tale of one woman's loss and love. We started tracking this book on January 26, 2017. This book was £3.98 when we started tracking it. The price of this book has changed 14 times in the past 819 days. The current price of this book is £2.00 last checked 2 hours ago. This lowest price this book has been offered at in the past six months is £1.00. The lowest price to date was £0.99 last reached on August 31, 2018. The highest price to date was £3.98 last reached on January 26, 2017. This book has been £3.98 one time since we started tracking it. We last verified the price of this book about 2 hours ago. At that time, the price was £2.00. This price is subject to change. The price displayed on the Amazon.co.uk website at the time of purchase is the price you will pay for this book. Please confirm the price before making any purchases.